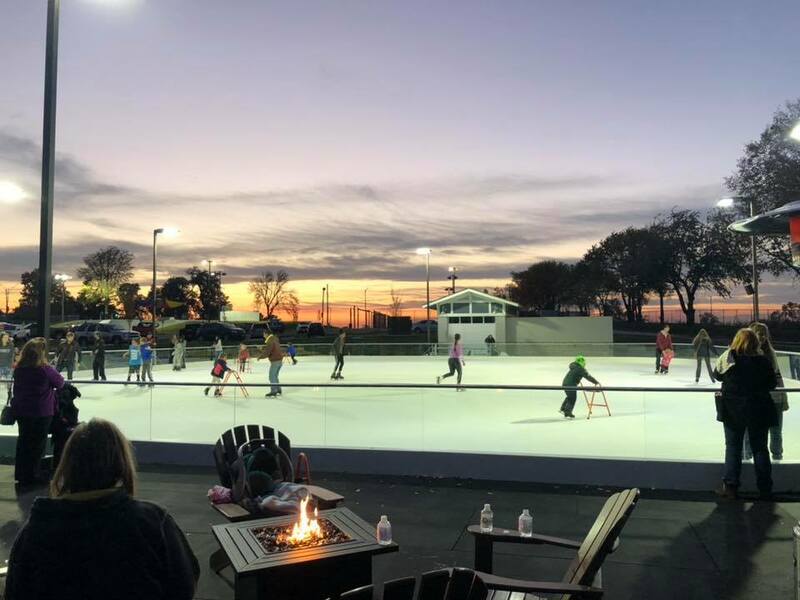 LEE’S SUMMIT, mo, sEPTEMBER 13, 2018: Residents of Lee’s Summit and the surrounding area will have the opportunity to create new holiday memories and traditions at Summit Ice, the new outdoor ice rink located at Lea McKeighan Park. Summit Ice will open its gates mid to late October and will host multiple events starting with Spooky Skate Night on Halloween. Conveniently located on the corner of Chipman and Douglas, Lea McKeighan Park is one of the area’s most popular gathering spaces. 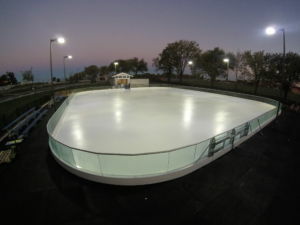 The new outdoor ice rink is part of Lee’s Summit Parks & Recreation’s $4.7 million renovation project which included a new concession building as well as other park features. 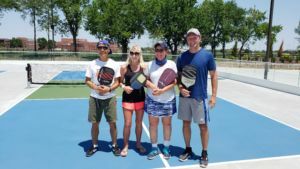 From October through March, the new pickleball courts will transform into a beautiful winter wonderland offering brilliant white ice for public skating, figure skating, pond hockey, curling, broomball and special events. The Concessions & Skate Shop, managed by KCIce, is a mini convenient store, providing patrons with unique upscale hospitality by including a Park Wait Staff that delivers food, beverages, and other requested items to patrons on the patio and throughout the park. Summit Ice will serve as a seasonal gathering place offering fun community activities throughout the winter months. 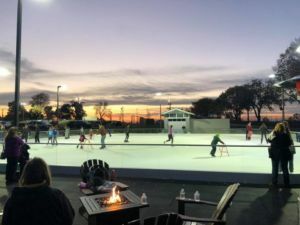 Visitors can experience the magic of skating under the open sky or simply relax and enjoy some hot chocolate and s’mores by one of the many fire pits. Ken Morrow, KCIce President, is a 1980 ‘Miracle on Ice’ Gold Olympian, Four-time Stanley Cup Champion and member of the NY Islanders Hall of Fame. His mission is to grow ice-based sports with outdoor ice rinks. 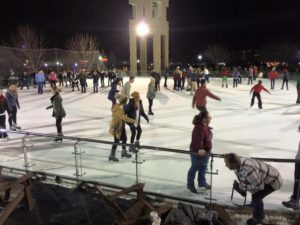 “Our ice rinks and special programming create new skaters and introduces them to ice sports,” said Morrow. “New skaters become new players who become fans.” Summit Ice will offer Learn to Skate, Learn to Play Hockey, and Learn to Curl for all ages. 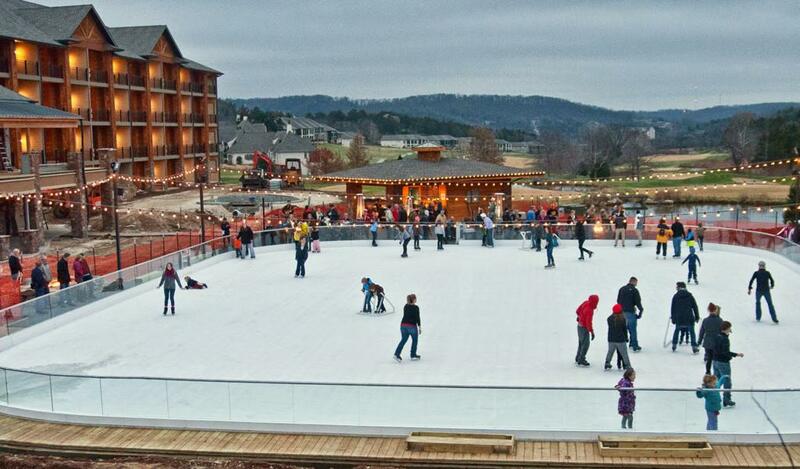 *Ice Rink is split for both Public Skating and Hockey Monday – Friday, from 2:00 – 5:00 pm.